our fabulous poster designed by dwellephant! We’re thrilled to announce the line-up for the upcoming Ex Fabula ALL STARS event, which will take place at Turner Hall on Thursday, June 2nd, at 8 pm. 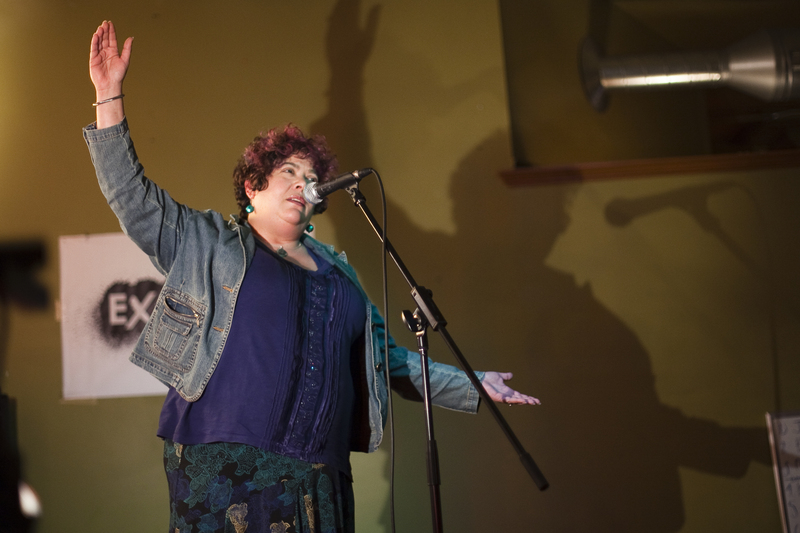 This grand finale event of our second season will feature stories told by the ALL STARS – storytellers who were voted Audience Favorites at this season’s monthly events. 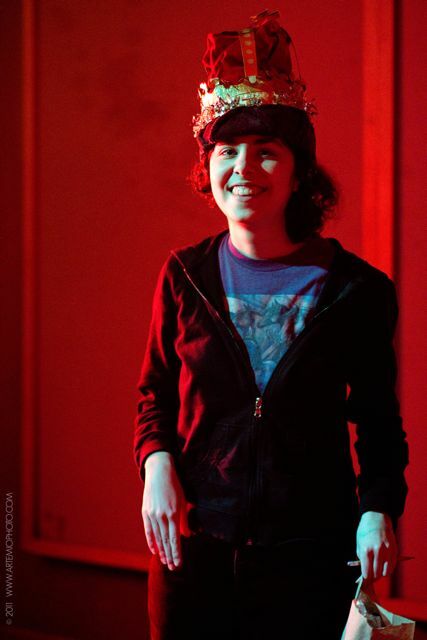 Tickets are available for $10 at http://www.pabsttheater.org/show/exfabulaallstars . The evening will also kick off “Terminal Milwaukee”, a seven-event series that will lead audiences through five distinctive neighborhoods of Milwaukee following the dynamic life story of Tom Crawford. 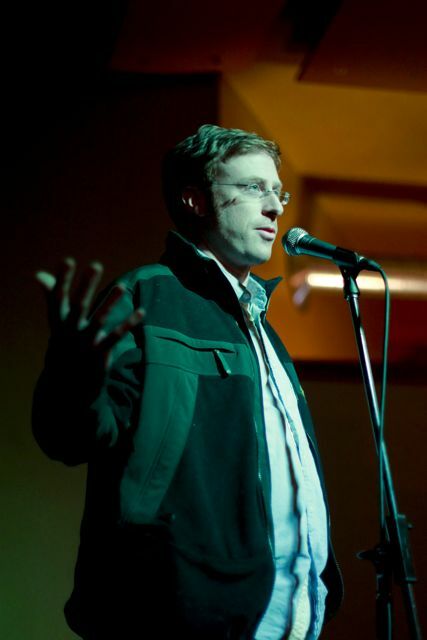 Tom was a standout storyteller from Ex Fabula All Stars 2010 and is a self-described “terminal” Milwaukeean. As part of this kickoff, Tom will share a story on the theme of “Secrets & Lies”, Milwaukee Historian John Gurda will reveal some “secrets and lies” about our beloved Milwaukee, and the Terminal Milwaukee series video trailer will be screened for the first time. “Terminal Milwaukee” is funded in part by a major grant award from the Wisconsin Humanities Council. The Wisconsin Humanities Council supports and creates programs that use history, culture, and discussion to strengthen community life for everyone in Wisconsin. The WHC receives funding from the National Endowment for the Humanities and the State of Wisconsin. 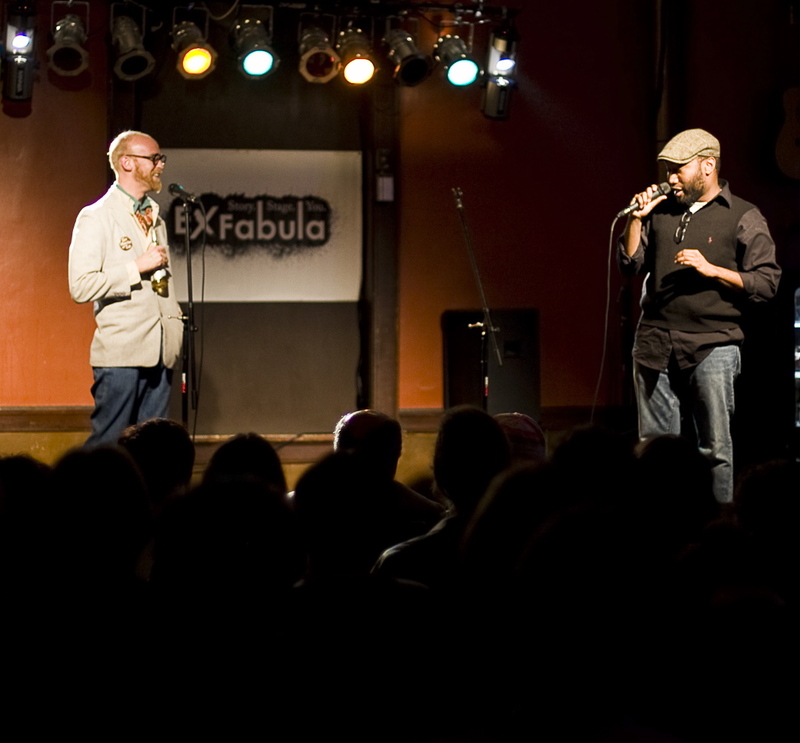 “Emergency” is a relative term – making it a perfect theme for March’s Ex Fabula event at Stonefly Brewery. Two first-time storytellers kicked off the night. Alicia Wahl told of an unfortunate night working back stage at an open-air opera theater in Santa Fe during monsoon season. Apparently it is tricky to keep large pieces of scenery from blowing away while assuring the lead soprano diva that the crew has no control over nature. Lauren Poppen was taking a leisurely hike in the woods with her boyfriend, when she twisted her ankle. Stuck in particularly rough terrain, it took not her boyfriend, not the park rangers nor the EMTs, but the whole fire department to get her out. Kristia Wildflower’s decision to use the ladies room at bar time might have been a mistake; she came out to find everyone, including her husband, gone and the bar dark and locked. That’s a problem, but the real emergency came later when, still stuck at the bar, she received a call that her husband had been in an accident and might lose his leg. 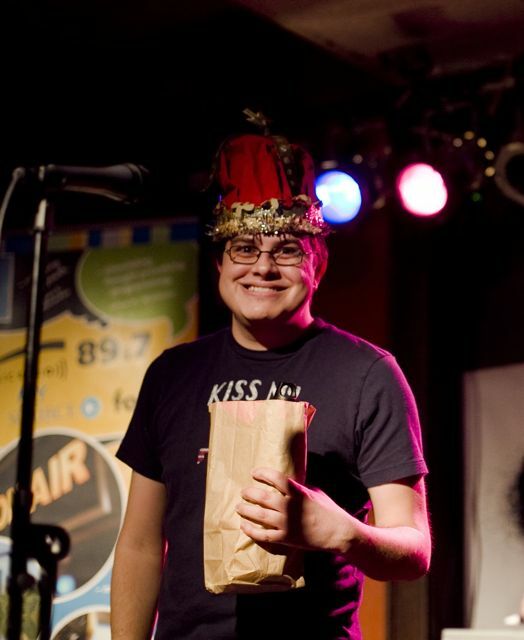 Bob Murray, who won Audience Favorite earlier this season, told a story that could be titled “Panic at the Four-Plex” about a crazy night at his apartment involving his neighbors, looting of beer and ice cream, police at the door and a guy cheating on his girlfriend with her best friend. How was Bob supposed to get any sleep? Sometimes you have to make up an emergency to get out of a situation. Luckily for Conn Hagen, he and his buddies “remembered” they had left a pizza in the oven upon realizing the woman he was about to go home with was a man. The final storyteller of the night was also the Audience Favorite. Not Anja didn’t have one big emergency, but spent a few months living in a state of several small emergencies. Along with an entertaining story, Not Anja shared her cure for getting rid of fleas: sing to them, move your bed around to confuse them and throw on some lavender and chamomile for good measure. If an emergency of your own kept you from March’s Ex Fabula, you can recover by attending the next event on Tuesday April 12th at the Bay View Brewhaus. The theme is “Theory and Practice”, and it’s your last chance to be crowned Audience Favorite and earn yourself a spot at the ALL STARS event in June. Be there by 7:45 to put your name in the hat for a shot to bring your story to the stage.